Hostel El Ovejero i El Calafate, Argentina : Boka nu! 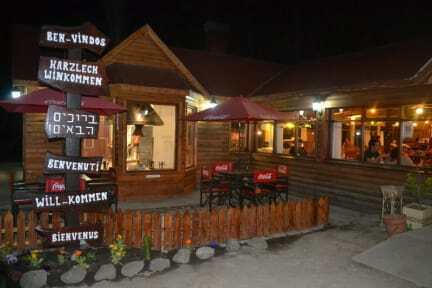 Surrounded by forest and stream, the hostel offers rooms for 2, 5 and 6 guests. Communal kitchen and living room with WI-FI and Cable TV. 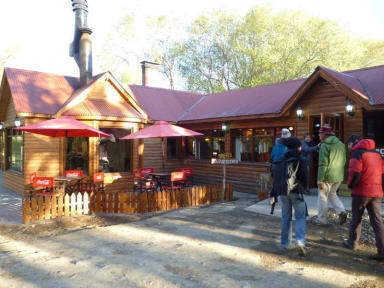 Next to the hostel is Parrilla La Marca, where they serve the best steaks in Patagonia! You will be able to see how to cook lamb in a real Patagonian kitchen. Cash and credit cards payment accepted on arrival. Reception open from 7:00 in the morning until 03 am at night. From 01/06/2017 until 31/08/2017 our reception is gonna be open from 07 to 24. Breakfast not included, only included for bookings during high season (21/12 AL 31/03) for the 5 or 6 beds dorms. Dåligt med utrustning i köket som dessutom inte få används dagen du checkar ut. Personalen är uppenbart less på sitt jobb. Billigt boende som funkar utmärkt om du kommer med låga förväntningar. We did not get to stay in the actual hostel, instead we were in a shed with paper thin walls. You could hear everything your neighbours were doing. The bathrooms are in an other building and shared with a big camping, there was never any paper and they were not cleaned enough. We were aloud to use the kitchen in the hostel, but the receptionist had to open the door for you. Cheap, but not a good place to stay.